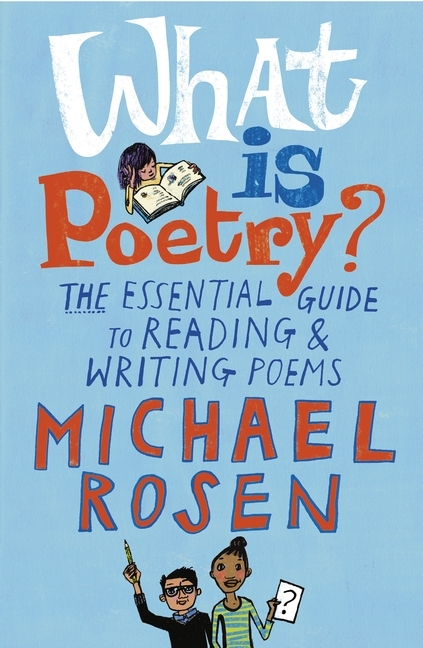 The brilliant Michael Rosen’s latest offering, What is Poetry?, introduces the many faces of this underrated genre. He shares his knowledge on how to appreciate, read, understand, and write poetry properly. Through the deconstruction of poems, Rosen reveals what poetry is, what it does, and how it expresses views and feelings. He shows by example how poetry plays with words in a symbolic way, and tells stories in an abbreviated manner. How and why is personification used in poetry? What role do the borrowed voices of monologue play? Why does the clever device of irony allow the reader to interpret the poem in their own way? 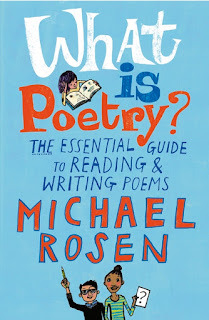 Rosen uses poems of various kinds, and by many poets, including Robert Louis Stevenson, Banjo Patterson, Edward Lear, and Elizabeth Barrett Browning as examples and answers to these questions. Nonsense verse is seen as poems ‘making new sense’. Rosen touches on the reality of words, and the ‘secret strings’ that tie words and meaning together as in assonance and alliteration, repetition and imagery. We are reminded that words are tools of communication. Their inversion, repetition, or alternative use, force us to view them differently. By placing words in unfamiliar sequences we realize their flexibility. Old words become new again to change the course of a poem or story. I love this book! It’s an invaluable handbook/guide, not only for teachers and students, but for any person working in the field of creative arts. Poems inspire, and can be used as thinking tools to spark the imagination. It’s filled with stimulating thoughts for writer’s block, and helpful, go-to ideas.